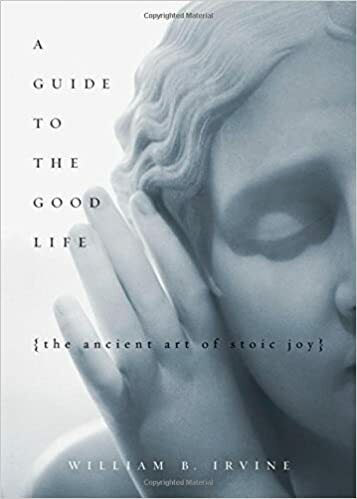 A Guide to the Good Life: The Ancient Art of Stoic Joy on Amazon. Stoicism came in two flavors = Greek, and Roman. The Greek Stoics believed in the pursuit of virtue, in becoming an excellent human being. Romans believed that one must pursue tranquility and virtue, but pursuing tranquility alone itself likely led to the attainment of virtue. They were able to ‘market’ Stoicism better than their Greek counterparts. Stoicism praised getting involved in human affairs and business/government. Lots of Stoics like Seneca, Marcus Aurelius were very wealthy and important people. Cynics were prescribed ascetics. Cynics were not allowed to enjoy life. Stoics were allowed to enjoy life, but not to an extent where they got attached to the pleasures of life. Why do all this? So you can have control over your life (become more virtuous), minimize the ups and downs and have a stable emotional center. And also be ‘alive’ – experiencing delight at every possible moment. – Self-awareness – Stoics believed that the superpower given to humans was the capability for rational thought. Analytically think through every emotion you feel. Are you experiencing it because of evolution? i.e social pressure to stick to the clan if insulted etc.? Today’s world is vastly different and you need to use your rational thought to diffuse your emotions. Furthermore, everything in our body has primarily evolved in order to survive and reproduce. Since that is not your only goal, you need to ‘misuse’ your evolutionary inheritance. Stoics valued tranquility over passing of genes or even survival. – Negative visualization – Similar to Buddhism, one must contemplate the impermanence of everything in your life – your loved ones, your material objects, to the warm jacket that you’re wearing in the winter. Does not mean you become an anxious human, contemplating involves setting aside a few minutes to think about it’s impermanence. Scenario of two kinds of fathers – one who contemplates his child’s mortality everyday, and spends a lot of time thinking about it, and another who believes that his child will outlive him and takes that for granted. Aside from the first father being more attentive and involved with his child, the second father is guaranteed to be heartbroken and have regrets (if only I had spent more time with my child) if something unexpected were to happen to his child, but the first would relive and relish the amazing moments spent with his child. Negative visualization, counterintuitively encourages optimism. You will enjoy the glass that your water is on, for it could not exist. Furthermore, asking ‘What is the worst that can happen?’ can put things into perspective and encourage more risk taking. – Projective visualization – Sometimes, imagining the bad things that are happening to you as happening to another person helps puts things into context, and helps you put the bad things into perspective.If your maid broke your glass, you might get upset. If you project that happening to your neighbor, and if you were around – you would say something like ‘It’s just a glass, it does not matter’. – The Trichotomy of Control – Think of things that fit into three categories. Internalize your goals to maximize happiness. In other words, compete with yourself. If you are playing tennis, your final goal should be to play to the best of your ability. Do not concern yourself with things that have happened – surrender them to fate, it was fate that decided it. And with the present – what is happening now is just fate. Instead, look to the future and look to influence the direction of the future. – Self-denial – deny yourself some of life’s pleasures, cause yourself minor pain in order to be able to conquer your own desires and win over yourself. Author describes his personality as an ‘enemy lying in wait’. If you can win over that enemy (desire and other bad pleasures). With acts of voluntary discomfort (such as lying on the floor or not wearing a thick sweater in the cold) you harden yourself against future discomforts that will come. By experiencing minor discomforts, one also gains courage and the strength to take on bigger challenges and discomforts if they happen. And finally, discomforts (like negative visualizations) cause you to appreciate what you already have – a thick sweater, a nice warm cup of coffee etc. Physical exercise and working out fits into this category of stoicism. – Meditation (or reflection) set aside a time each day to meditate/reflect on your actions, your motive for your actions and define a ‘Stoic observer’ inside you who watches your every action. – Duty – You have a duty towards mankind. Relationships are the source of some of life’s greatest treasures – love and friendship. To fulfill my social duty, I must have a concern for humankind. I seek to do good for my fellow creatures and bear with them. – Relationships – Seek friends who live your stoic values and who do a better job at living those values. While dealing with an annoying person – try to reflect on your own shortcomings in order to build empathy. Furthermore, much like insults, our annoyance at what the person does is far more detrimental than what the person is actually doing. – Insults – look to collect insults, laugh them off much like you should laugh off praise. When insulted, try and make further fun of yourself. If someone comments on your laziness, say ‘I can’t believe I get anything done given how lazy I am’. Self-deprecating humor is very powerful. This will actually infuriate the insulter. Or, if you cannot come up with a wise remark, then you should just stay silent. Say nothing. Do not retort with a counter insult. Insults are only as powerful as you let them be. “Sting elimination” strategies include: reflecting on whether what the person said is true. If so, then there is nothing to be concerned about. Other strategies include is to pause and think about how well informed the insulter actually is. Not all insults require you to be quiet. If you are a teacher and a student insults you, you should correct him – not so much as to defend yourself, but to prevent that person from making that mistake again. – Luxurious Living – Stoics are allowed to enjoy their wealth as long as they do not cling to it. Negative visualization implies that you should reflect on losing everything you have tomorrow.